I planted white, red and pink super cascade trailing petunias. I did petunias from seed last year and it worked really well. But this year, the jury will be out for a few weeks. See how small the seeds are? Last year, I paid a lot more for "pelleted" seeds that were encased in something organic to make them bigger and visible on top of the soil. 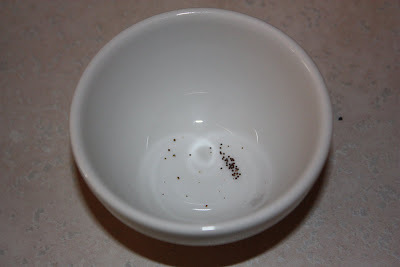 These small seeds I just pushed out of the little bowl on top of the soil in my seed-starting trays. I couldn't see the seed after I did that, so I hope I got at least one in each cup. Time will tell. Petunia seeds can take up to two weeks to come alive. Although last year, some popped up in just a few days. They like consistent warmth to get going. 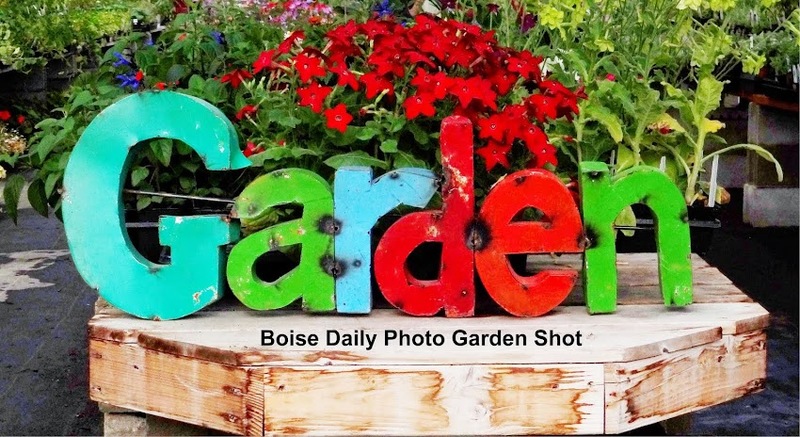 Planting day in Boise is May 10th. By the way, this seed-starting kit is one I bought four years ago. It works really well and it's all re-usable and dishwasher-able. I have a possibility of 77 plants here, and yes, I can use them all in baskets, planters, garden bed fillers between veggies, foundation plantings, and by giving a few to my friends. You are making me think about maybe - just maybe - starting some seeds, too. I keep thinking "you need lights and covers and the right amount of heat and ...." -- all excuses of course! I noticed your planting date is May 10. That is the same as it is out here in Iowa. Some year I want to get to Idaho and see a commercial potato farm. I grow potatoes every year and have wondered what a real potato operation would look like. In fact, I have thought about going out during planting time and then again at harvest.. If you know of any potato farms I might visit or organizations I could contact, let me know.
" 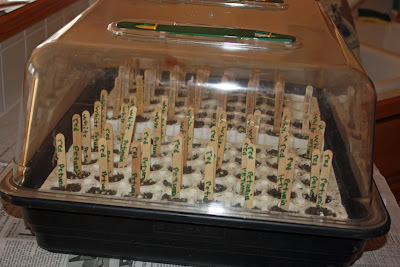 I have a possibility of 77 plants here, and yes, I can use them all in baskets, planters, garden bed fillers between veggies, foundation plantings, and by giving a few to my friends." Between this and your photos and your at-home job, I admire your energy! I love to garden! We are tripling the size of our vegetable garden this year. My parents, my sister, my best friend, and I are really into gardening, canning, and dehydrating. Our planting date is the same in this area of Northeastern Calif. I can't wait to follow your garden throughout the year. Hopefully this year I will be better at documenting ours.